Personalized, on-location photography session that captures a wide variety of photos of your pet(s) and you with your pet (if you’d like to be included in the shoot). 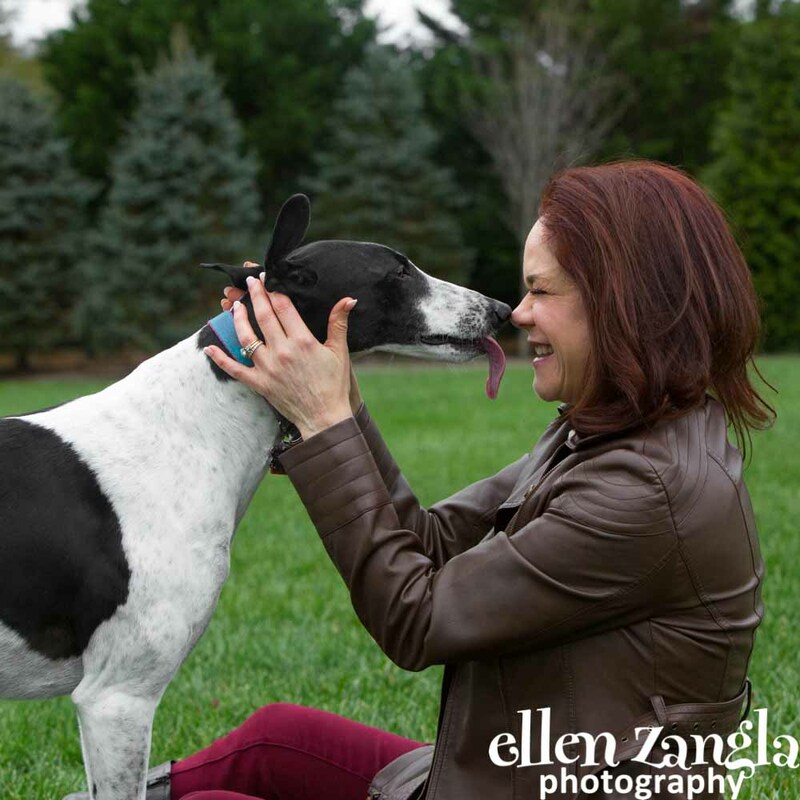 You will see a diverse number of photos at your ordering session, ranging from action shots to regal or whimsical photos to images of you snuggling or playing with your pet. This session lasts between 90 minutes and 2 hours. All prints and other products are purchased separately. Web-optimized photos, perfect for sharing on Facebook or other social media, are included at no charge with each purchased photo. The session fee—$175 for sessions held Monday through Thursday and $225 for sessions held Friday through Sunday— and a $300 print deposit are required when booking your session. Creatively capture your puppy or kitten’s first year with three photo sessions, 45 minutes each. 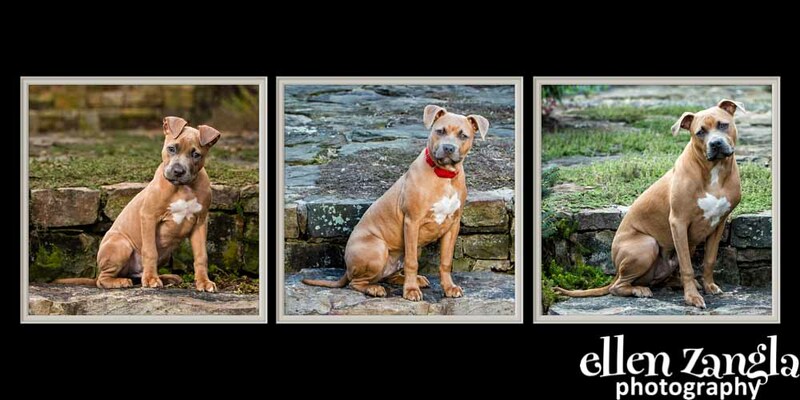 Together, we will determine when to photograph your dog or cat, based on how quickly he will grow. The first session is usually done between 8-12 weeks, the second one at about 6 months and the final one at about one year. This plan includes a 3-image, 10×20 collage (example below), with one photo from each session so you can see how much your puppy or kitten has grown over the first year. All other prints and products are purchased separately. Web-optimized photos, perfect for sharing on Facebook or other social media, are included at no charge with each purchased photo. See more of my puppy and kitten photos. Recognizing how much our older or terminally ill pets mean to us. When getting in touch with me, please mention that this is a Forever in our Hearts Session and I will schedule your photo shoot as quickly as possible. E-mail or call me at 703-727-3368. All of my print products are sold a la carte so that you can make the best choices for your home, based on the photos I create, the style of your house and where you intend to hang your photographic art. I offer a wide range of print products, including photos printed on metal, canvas or photo paper, as well as custom-designed albums and cards. Print prices start at $95, and clients should expect to spend a minimum of $500 on their custom art. I accept checks, credit cards and cash as well as offering payment plans. All purchased images include Facebook-sized, web-optimized, watermarked copies at no additional charge. I guarantee the quality of my work—if you are not happy with your artwork, I will either reprint it or refund your money.